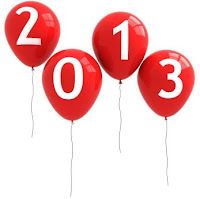 ReplyManager would like to wish you all a very happy, healthy and prosperous 2013. We hope you had a very successful holiday season and we thank you for your continued support. The year 2012 was a busy one for us all. With every new year comes new beginnings. There is no better time than now to do a little “housekeeping” to your ReplyManager software. Doing so allows you more time to reflect on your past accomplishments and even more time to make bigger plans for the year to come! Below are a few of our “housekeeping” tips to give you a fresh start to the new year. Judging by this statistic, we have a very busy year ahead of us. Now that you’ve cleaned up your software, what will you do next?